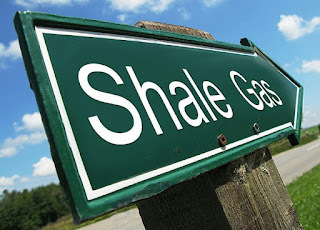 Despite low crude oil prices, new US shale-gas-derived chemical expansions continue to move forward, and more than 100 million metric tons (MMT) of new capacity will be added in the US chemical industry by 2025. Much of that new capacity will be converted to plastics, significantly increasing the US net export position for these materials, according to new research from IHS (NYSE: IHS). Major US chemical production additions include ethylene, propylene, methanol, ammonia, and their derivatives, such as plastics and fertilizer. New domestic fertilizer production will replace imports from South America, the Black Sea, and the Middle East. The US shale gas impact on liquid bulk chemicals is less pronounced than for solids but still significant, according to the research, titled “IHS Chemical US Bulk Chemical Export Expansion Analysis.” Recent production additions have resulted in a 10-MMT increase in bulk liquid chemicals in the last year, and, by 2025, US bulk liquid chemical additions will expand by more than 25 MMT, IHS Chemical said. The most notable bulk liquid chemical additions will be in methanol. “Chemical producers are clearly looking to take advantage of continued low natural gas prices in the US, which is enabling the significant expansion of these methane-based projects,” said Chris Geisler, director, chemical consulting, at IHS Chemical and author of the analysis. “With so many projects coming online, this phenomenal growth is changing the global trade landscape. Currently, the US is a major importer of methanol, but, by 2018, the US will be a major net exporter of methanol, which is a significant shift for the US industry.” The vast majority of new olefin chemical production will be converted to solid plastic resins and exported, according to the IHS analysis. With the exceptions of the ammonia and fertilizer production chains, the vast majority of expansion will be centered in Texas and Louisiana. Within Texas, firm capacity additions stretch from Beaumont to Corpus Christi, including several within the Houston Ship Channel.